Combitech finances a PhD student at Mid Sweden University, Mr Patrik Jonsson, M.Sc. Engineering Physics. The subject is “Intelligent Networked Sensors for Increased Traffic Safety”. In the research the focus is on intelligent sensors and remote sensing technology (Infrared sensors and computer models) with the aim to detect difficult road surface conditions (ice, snow, slippery roads). 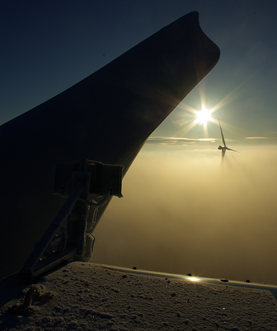 The technology will also be deployed for detection of icing on wind turbines.